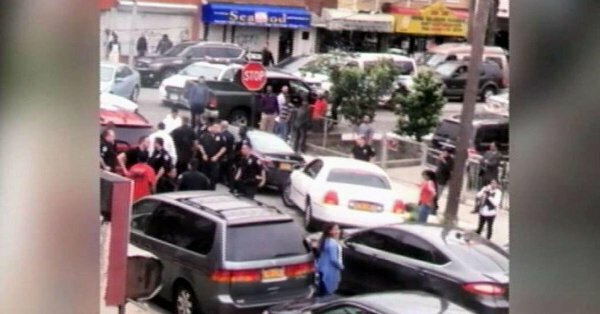 Dozens of residents banded together Tuesday to try to stop federal immigration agents from arresting an undocumented man wanted by police for burglary, according to reports. RICHMOND HILL, Queens — Police officers with the NYPD were called to assist federal immigration agents in Queens Tuesday morning, an NYPD spokesperson said. Racism, xenophobia, and immigrant-bashing are not new, but many people seem to be more aware of the deportation regime under the Trump administration. Does this provide an opportunity to shift public opinion on immigration? Can a sense of crisis mobilize solidarity? 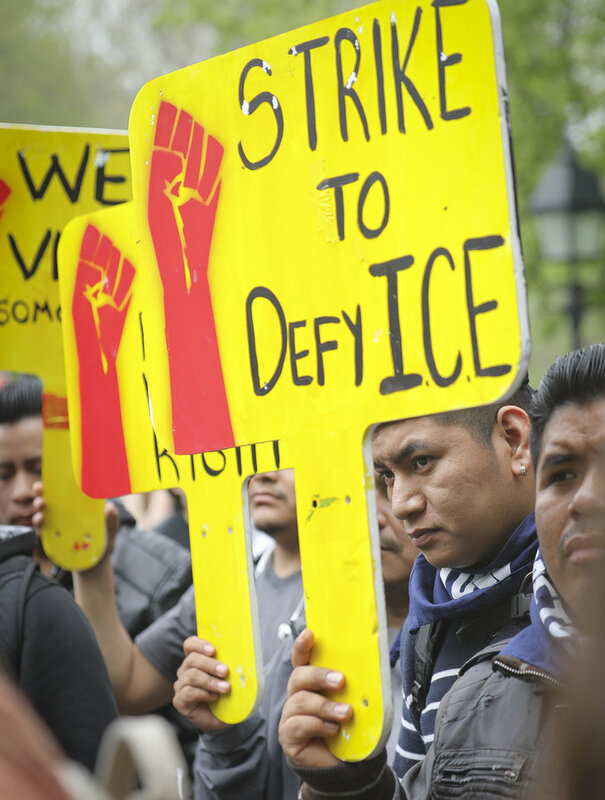 What strategies are organizers using to defend immigrant communities and push for real change? What challenges do we face? Updated for 2017: The Politics of Immigration: Questions and Answers (2nd edition) from Monthly Review Press. 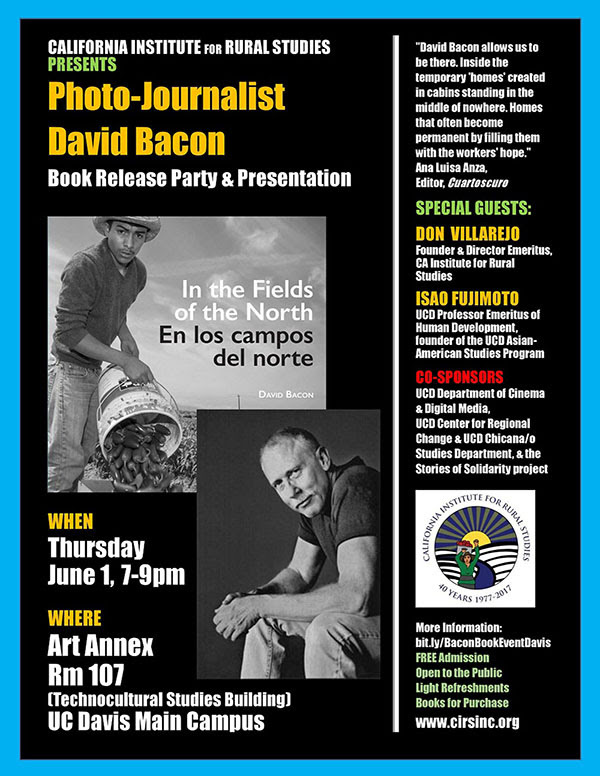 For more information: email thepoliticsofimmigration@gmail.com. 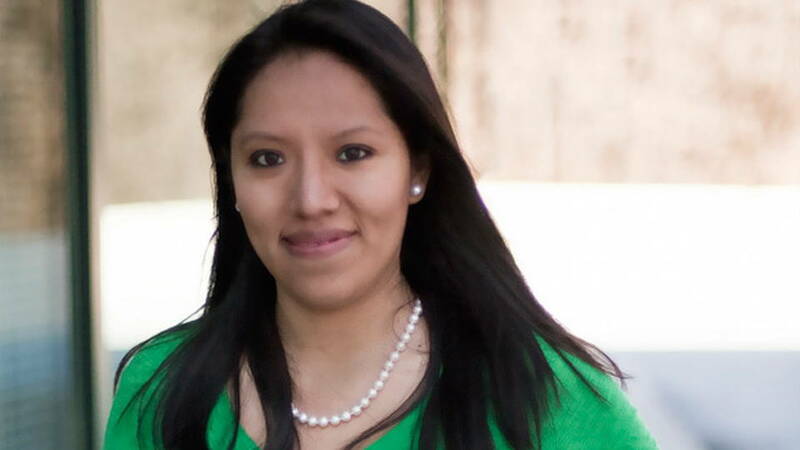 Angy Rivera is a co-director at the New York State Youth Leadership Council. In 2010 she created Ask Angy, an award-winning undocumented immigrant advice column. She and her family are the subject of Mikaela Shwer’s documentary No le Digas a Nadie (Don't Tell Anyone), which aired on PBS in 2015. Follow her journey on twitter at @AskAngy. Guadalupe Ambrosio is a co-director at the New York State Youth Leadership Council, the first and only undocumented youth-led organization in New York State. Born in Mexico City and raised in the Bronx, Ambrosio sees her role as to moving forward the NYSYLC’s mission of empowering undocumented youth to create the change they want and deserve. Follow her on Instagram @ambrosiolupe. Ravi Ragbir is a NYC immigrant rights activist who has helped hundreds of people as an organizer and now as the Executive Director of the New Sanctuary Coalition of New York. He works directly with those who are facing deportation to empower them to struggle to remain in the US. Ravi has first-hand knowledge of the deportation system because he is facing removal himself and is fighting to remain here with his family, friends and supporters. Jane Guskin is co-author with David L. Wilson of The Politics of Immigration: Questions and Answers (2nd edition, Monthly Review Press 2017). She has written on immigration and related topics for Truthout, Huffington Post, and other publications. She is a program manager at the A.J. Muste Memorial Institute and will be a PhD candidate in sociology at the City University of New York (CUNY) this fall. Book Excerpt: How Does Trump Budget Attack Immigrants’ Citizen Children? [t]he proposal also calls for new steps to bar undocumented immigrants from receiving tax credits, including adding a new requirement that those claiming the child tax credit provide a verifiable Social Security Number valid for employment, and tightening current rules that mandate that a Social Security number be furnished to claim the earned-income tax credit…. White House budget director Mick Mulvaney claims that it's wrong “to give the earned-income tax credit, which is designed to help folks who work, to give it to somebody who is in the country and working illegally. That’s just not fair.” Whether it's fair or not, under current law undocumented immigrants aren't eligible for the earned-income credit. But what about the child tax credit? This is only for citizen children or children with legal residence, not for the parents. In other words, the administration is planning to punish citizen children for having parents who are undocumented. The Social Security Administration estimated in 2013 that about 44 percent of this country’s 8.1 million out-of-status workers were employed in the formal economy, working “on the books,” generally using false Social Security numbers (SSN) or an individual tax identification number (ITIN). These workers paid federal, state, and local taxes the same way citizens and immigrants with legal status did, and Social Security and Medicare payments were deducted from their paychecks….. Some out-of-status immigrants do seek benefits for their U.S.-born children, who are entitled to the same services as other U.S. citizens. For example, undocumented immigrants who file their federal income taxes are eligible, under the same rules as other taxpayers, for credits for their dependent children who are U.S. citizens or legal residents. These child tax credits are capped at $1,000 per child, and if the total amount of the credits is greater than what the taxpayer owes, the government may refund the difference. This is a benefit for the children, not the immigrant parent, and it’s lower than benefits in many European child allowance programs, which often pay more than $100 a month per child. Some politicians attacked the program after a 2011 Treasury Department investigation found that $4.2 billion had been paid out to accounts of unauthorized immigrants, but tax experts noted that the only real problem was with some fraud by a small number of taxpayers and tax preparers, not with the credit itself. Welcome to the “Anti-Immigrant Wish List” edition of the Bulletin. Last week, with the country's attention distracted by presidential chaos, Republicans in the U.S.
House of Representatives moved forward on the most sweeping package of federal anti-immigrant legislation in decades. The heart of this cruel and costly legislation is the Davis-Oliver Act (HR 2431), a $23-billion dollar anti-immigrant wish list introduced by Idaho Tea Partier Raul Labrador. It is flanked by two supporting bills (HR 2406 and 2407) and championed by every prominent nativist organization in the county. The second edition of our book is now ready for shipment, and it's hard to imagine a better time for a concise guide to the realities of the United States' immigration system. Despite its many difficulties--the Russia investigation, the steady stream of "alternative facts" from the White House, the growing resistance to its agenda of cutbacks for the poor and tax breaks for the rich--the administration continues to push ahead with its plans to spend billions on repressing immigrants and their families. We need to know the facts if we're going to fight back. Jessica Colotl, Photo: Democracy Now! NEW YORK — The American Civil Liberties Union, ACLU of Georgia, and Kuck Immigration Partners LLC took legal action today to restore Deferred Action for Childhood Arrivals protections to DREAMer Jessica Colotl. 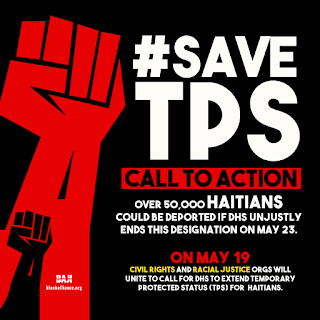 Haitian TPS redesignation: Is it being held hostage to discrimination and xenophobia within the Trump administration? Dept. of Homeland Security Secretary John Kelly’s process for deciding whether to redesignate Haiti as a country whose nationals living in the United States remain eligible for Temporary Protected Status (TPS) should be a simple one. ACTION ALERT! 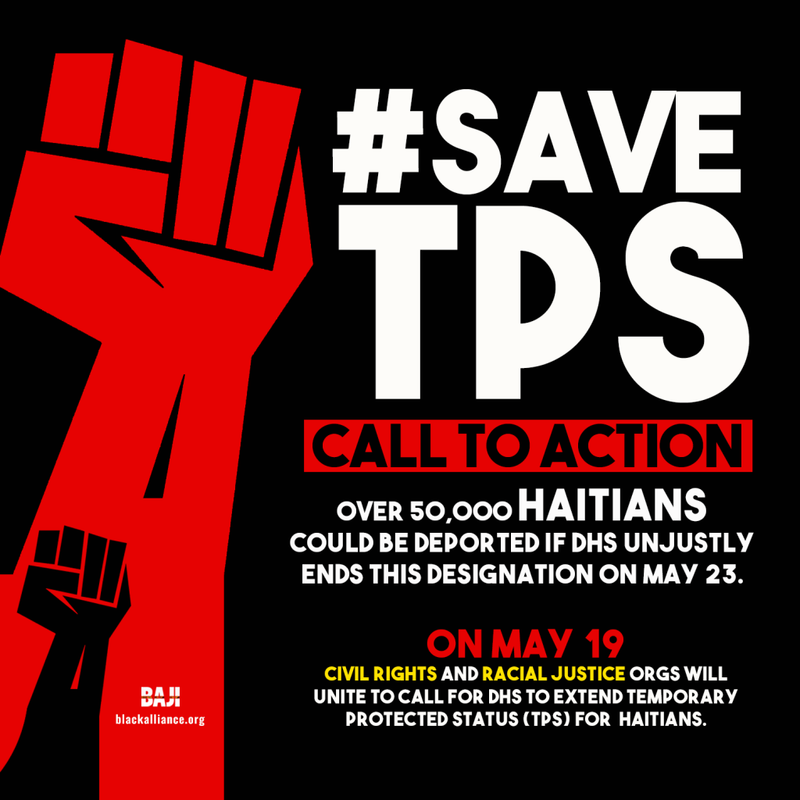 The Black Alliance for Just Immigration (BAJI) is calling for activists to telephone Homeland Security today, May 19, and demand that the government not go ahead with its plan to end TPS for Haitians. We're reposting BAJI’s alert below, along with links. BAJI created a simple action kit to help you call DHS and tag them on social media asking them to tell Department of Homeland Security Secretary John Kelly to extend TPS. Click here to access the toolkit, which has contact phone numbers, a sample script and social media posts for you to take action today. · Communities living in Florida, New York, and New Jersey will be hit especially hard, as these are home to most of the U.S. Haitian diaspora. · Most Haitians with TPS have lived in the U.S. for 7-15 years, they have families here and contribute to their communities and Haiti’s recovery by working with authorized work permits. 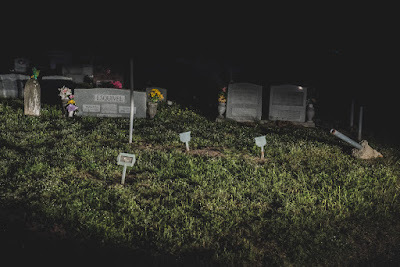 · In addition to the devastating 2010 Earthquake, Haiti has been hit by a cholera epidemic leaving nearly 1 million people sick and just last October a category 4 hurricane hit the island. · Under no circumstances are the conditions in Haiti stable enough to receive deportees safely. Advocates across the country are working hard to convince key decision makers that extending TPS is the right thing to do. Join BAJI now and let the Haitian community know that they are not alone! Let’s stand together and fight for one another. CLICK HERE for the action toolkit!! Immigration has been the subject of furious debates in the United States for decades. On one side, politicians and the media talk about aliens and criminals, with calls to “deport them all.” On the other side, some advocates idealize immigrants and gloss over problems associated with immigration. But what does it mean to be “illegal”? 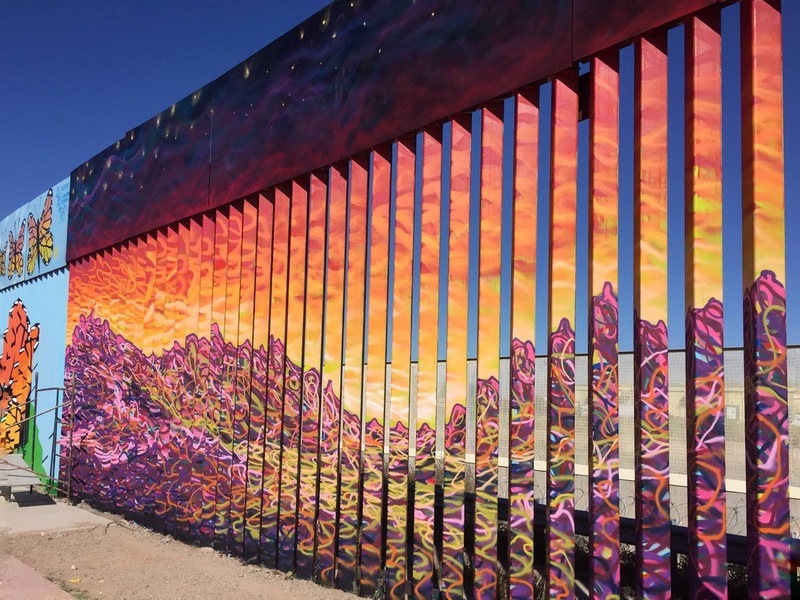 How do immigration raids, prisons, and border walls impact communities? Who suffers and who profits from our current system—and what would happen if we transformed it? The Politics of Immigration: Questions and Answers goes beyond soundbites to tackle these concerns in straightforward language and an accessible question-and-answer format. For immigrants and supporters, the book is a useful tool to confront stereotypes and disinformation. For those who are undecided about immigration, it lays out the facts and clear reasoning they need to develop an informed opinion. 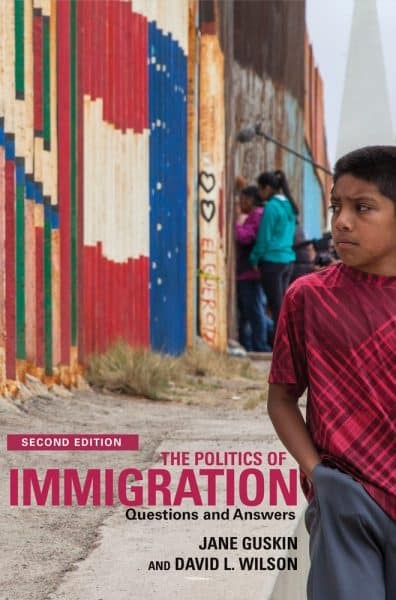 Ideal for classroom use, this updated and expanded edition provides a succinct overview of U.S. immigration history, policy, and practice, with detailed notes guiding readers toward further exploration. Some 50,000 Haitians have been able to live legally in the United States since 2010 under Temporary Protected Status (TPS), a special immigration status granted after a massive earthquake struck southern Haiti that year. The Trump administration plans to end TPS for Haitians starting in 2018, and now it’s looking for an excuse. Since there’s no evidence that conditions have improved in Haiti—which would provide a rationale for terminating TPS—the Department of Homeland Security is turning to classic racist and xenophobic stereotypes. Department employees have been instructed to look for evidence that Haitians covered by TPS are committing crimes and/or living on welfare. WASHINGTON (AP) — As the Trump administration weighs extending humanitarian protections for thousands of Haitian immigrants, officials are digging for unusual information: How many have been convicted of crimes. Internal emails obtained by The Associated Press show a top immigration official wanted not only crime data on Haitians who are protected from deportation under the Temporary Protected Status program, but also how many were receiving public benefits. Such immigrants aren’t eligible for welfare benefits. The second edition of The Politics of Immigration is due out in a little more than a week, but we’ve already started facilitating events and making additions to our blog and our website. We’ve also just facilitated our first two immigration dialogues for the Trump era. These were both held on May 10 at Bard High School Early College Manhattan, where the students organized a teach-in around the theme of “civic engagement.” We’ve facilitated about three dozen dialogues and other events since the publication of the first edition, and we look forward to doing many more in the coming months. Please contact us if you’re interested in hosting one. Today we’ve enhanced the website with the new edition’s “Immigration and the Law: A Chronology.” In addition to the material in the book, the web version has hyperlinks to the texts of the laws and court decisions. We can also update it as new legal issues arise, and we can make improvements and add material. We welcome comments from readers who feel that something should be added or that we’ve got something wrong. Write us at thepoliticsofimmigration@gmail.com. And if you’re going to Left Forum in New York the weekend of June 2, be sure to check out our panel, “Immigrant Rights in 2017: Crisis and Opportunity?” More information to follow. The AFL-CIO has produced a useful toolkit to help workers and union officials prepare for immigration raids at the workplace and for I-9 “silent raids.” As the authors point out, the two types of raid have a way of happening when a company’s workers are organizing; technically the government is committed to holding back in these cases, but the reality is often different. 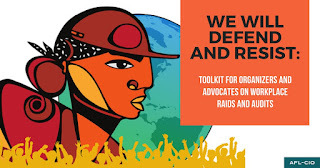 Note: the toolkit describes conventional, strictly legal approaches to resisting the raids, not more the militant responses we see with groups like the Tom Cat Bakery workers.--TPOI editor. Too often, workplace raids and audits are used as cover to suppress the rights of working people who speak up for safe, just and dignified working conditions. Below are many of the materials and tools we developed to prepare for, and resist, the unjust workplace raids and audits that undermine the rights of all workers. III. What Are the Steps in an I-9 Audit? IV. What Happens if an I-9 Audit Occurs While Workers Are Exercising Their Rights? 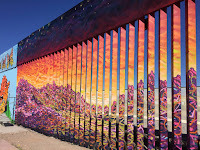 Since late January Aaron Bobrow-Strain, an associate professor at Whitman College in Washington state, has been circulating a weekly bulletin with a roundup of immigration news, action alerts, and background on immigration issues. 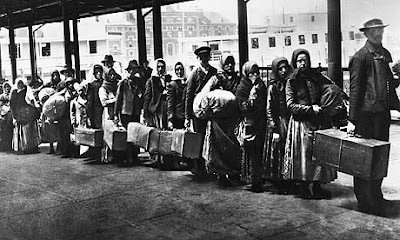 The Immigration Action Bulletin has provided useful information and in-depth analysis on a host of important issues, including the “So-Called Border Security Order,” the “Invention of Illegal Immigration,” and “How Current and Proposed Immigration Enforcement Policies Undermine Public Safety and Encourage Criminals.” It already has nearly 700 subscribers, and we strongly recommend it to Politics of Immigration readers. You can subscribe here. See the brief excerpt below. Welcome to the “Immigration Detention 101” edition of the Bulletin. The detainees of the Northwest Detention Center (NWDC) in Tacoma, Washington, are on hunger strike. Again. Their demands are basic and unadorned: better food and hygiene; an end to the $1-a-day labor program; and a solution for procedural backlogs that leave some detainees incarcerated for years awaiting the outcome of their legal cases. For compelling video testimonies from within the NWDC hunger strike movement, click here. While conducting research on the use of psychotropic drugs on immigrant detainees, Andrea Berg met Noemi, a 56-year-old pastor who spent almost a year at the NWDC. Noemi ended up detained after fleeing her home town in Guerrero, Mexico, to seek asylum in the United States. In Mexico, Noemi and her husbanded had founded an anti-gang youth program. The work had a profound impact in kids in their home town, but angered local criminals. Threats, intimidation, and the failure of the Mexican state to protect Noemi and her husband, left them no choice but to flee to the United States. 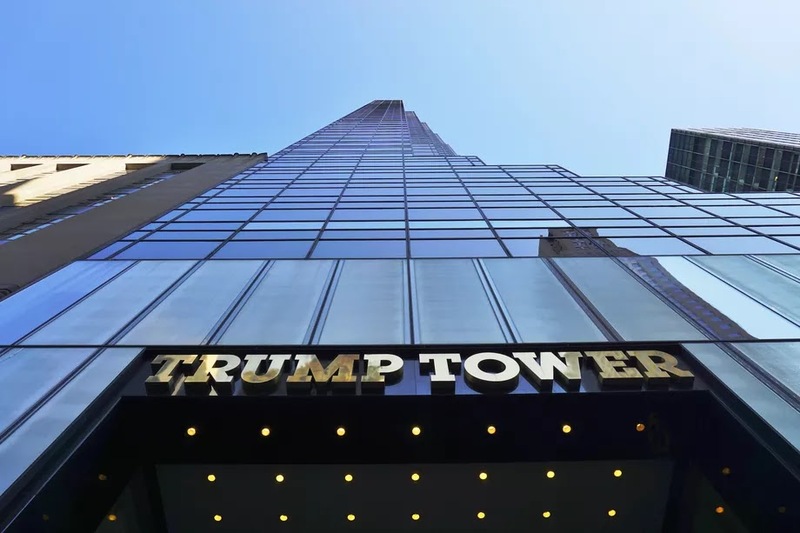 Book Excerpt: What’s Up With the Kushners and the EB-5 Visa? “We’ve done a great job on boat people,” Harold Ezell, former Immigration and Naturalization Service (INS) western regional commissioner, said in 1991. “I see no problem with a few yacht people.” After leaving his INS post in 1989, Ezell began marketing investor visas to wealthy foreigners. Ezell was one of a number of government officials who pushed for the investor visa program, then left for the private sector to reap profits from it, as revealed in a February 2000 Baltimore Sun exposé. Those profits were boosted when INS deputy general counsel Paul Virtue issued legal opinions in 1993 and 1995 loosening the rules for the investor visas. The controversial rules were reversed in late 1997, and the scandal led the U.S. Justice Department’s inspector general to launch an investigation in 1998 into the “appearance of impropriety” in the behavior of high-level government employees. 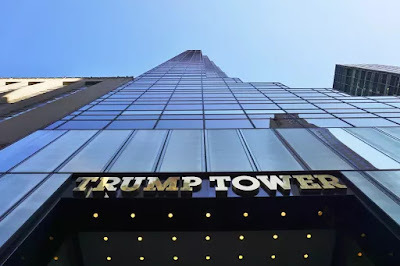 The investigation concluded that Virtue had arranged special access to key agency officials for a private company, American Immigration Services (AIS). The Inspector General’s office closed the case without taking further action in October 1999, and its report was kept secret. SAN MARCOS, TEX. — Case 0435 died more than a mile from the nearest road, with an unscuffed MacGregor baseball in his backpack. Case 0469 was found with a bracelet, a simple green ribbon tied in a knot. Case 0519 carried Psalms and Revelation, torn from a Spanish Bible. Case 0377 kept a single grain of rice inside a hollow cross. One side of the grain read Sara, and the other read Rigo. The belongings are part of a border-crossers’ morgue at a Texas State University lab here — an inventoried collection of more than 2,000 objects and 212 bodies, the vast majority unidentified. Heightening immigration enforcement has been one of the campaign promises on which President Trump has acted most aggressively in his first 100 days. As a result, May 1 -- which has long been a day to elevate workers and immigrant rights struggles -- was definitely circled on movement organizers' calendar this year. 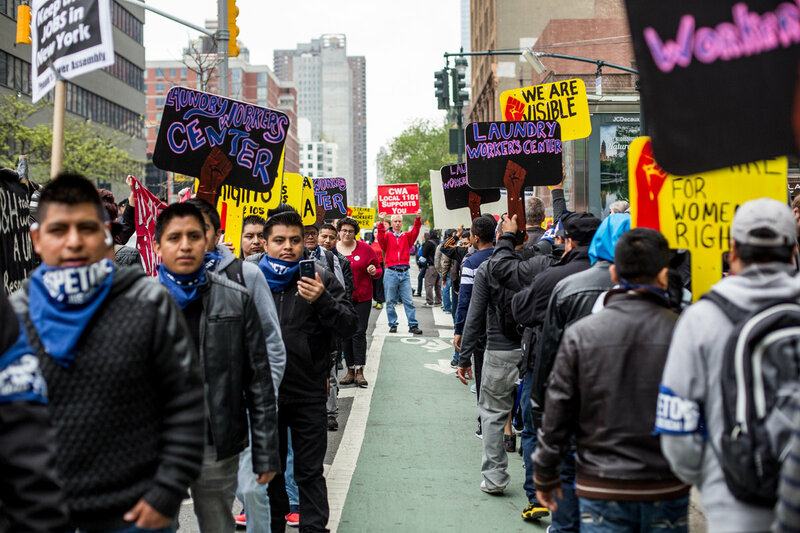 Yesterday, thousands marched, bringing memories of the tidal wave of immigrant rights mobilizations that occurred on May Day in 2006. Perhaps when the final tallies come in, this year's numbers will fall short of 2006. 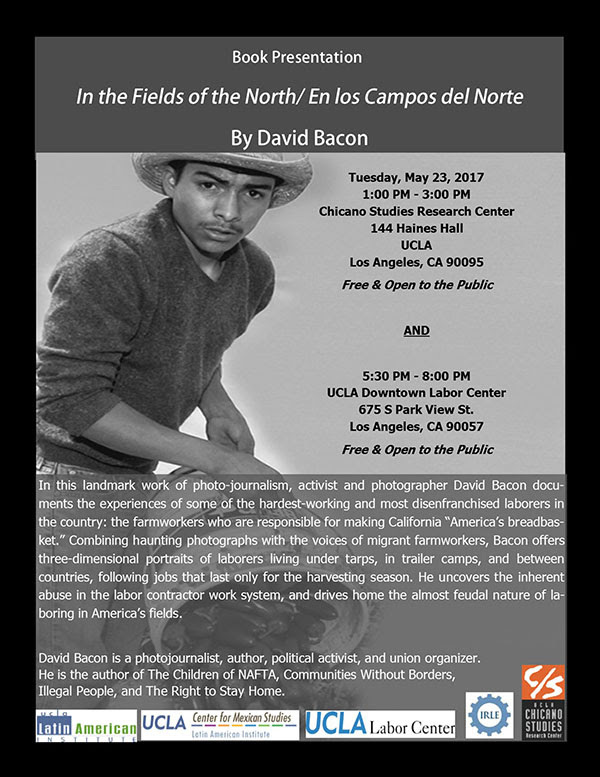 However, May Day 2017 proved that the immigrant rights movement has changed considerably. If this seems a practice only of years long past, consider that today we need merely replace “Japanese-Americans” with “Muslims” for the parallels to emerge. Every year since the late 1960s, on the last Saturday in April, there has been a pilgrimage to a place called Manzanar in California, where one of 10 United States internment camps once stood. 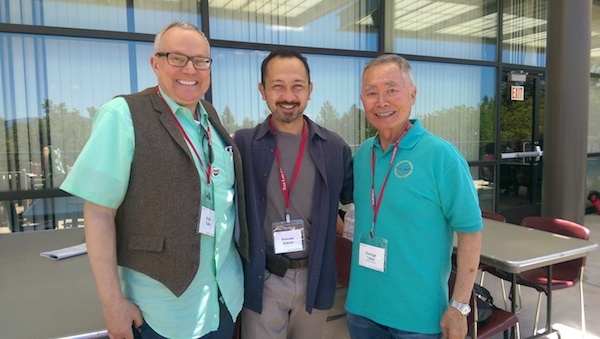 The annual journeys began as a way to remember those Japanese-Americans who were incarcerated during World War II and to mark a dark chapter in our history. The pilgrimage includes elderly original internees and their families, as well as neighbors of the site, schoolchildren and, since Sept. 11, American Muslims, who see parallels between what once happened and today. 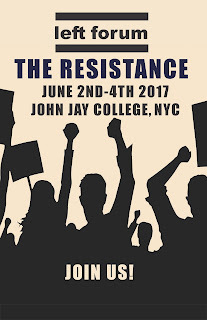 MayDay 2017 saw a resurgence of working class marches and protests around the world. Here in New York City, WBAI/Pacifica radio's Mitchel Cohen joined a march of immigrant workers, who paraded through the west Village. 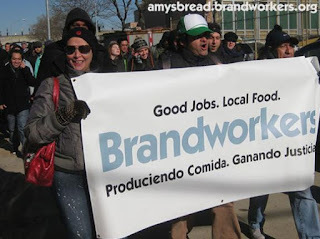 Mitchel interviewed Diana Marino from Brandworkers, who has been unionizing the mostly immigrant workforce in the baking industry at Amy's Bread. Mitchel Cohen also caught up with David L. Wilson and Jane Guskin during the march, whose newly revised book, The Politics of Immigration:Questions and Answers, will be published by Monthly Review later this month. Click here to hear Mitchel Cohen's 1st report of several from the Philadelphia courtroom where political prisoner Mumia Abu-Jamal's attorneys had argued a new appeal of his case. This first report consists of an interview with former political prisoner Tarik Haskins, and is as poignant as it is powerful. This important article breaks two mainstream media taboos: it shows how immigration status enables corporation to super-exploit workers, and it mentions one of the ways in which Washington’s foreign policy pushed millions of undocumented immigrants—so-called “illegals”—into the United States. “Day Without Immigrants” on May 1 with rallies, marches, and job actions in some forty U.S. cities. The protests in New York were almost certainly the largest since 2006 but not as large as the massive marches that year. New York’s 2017 protests were different in two other ways: in a higher level of participation by native-born supporters, and in a focus on ongoing struggles of local workers—at the Tom Cat Bakery, for example, and B&H Photo. 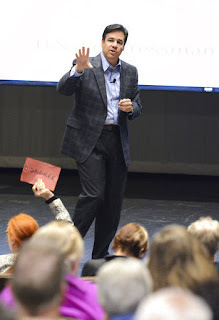 Tom K. Wong, a professor of political science at University of California, San Diego, said the Trump administration's focus on immigration is generating more support for immigrant rights advocates. "Every pivot back to the issue of immigration gives the immigrant rights movement another opportunity to make its best pitch to the public," he said. About 20 former employees of a Michigan manufacturing company have banded together to dispute their firing, which occurred one day after they participated in national “day without immigrants” protests. Exile from one’s home is historically considered one of the worst punishments the state could employ; it was, after all, one of the traditional Greek and Roman punishments for murder, their alternative to the death penalty.